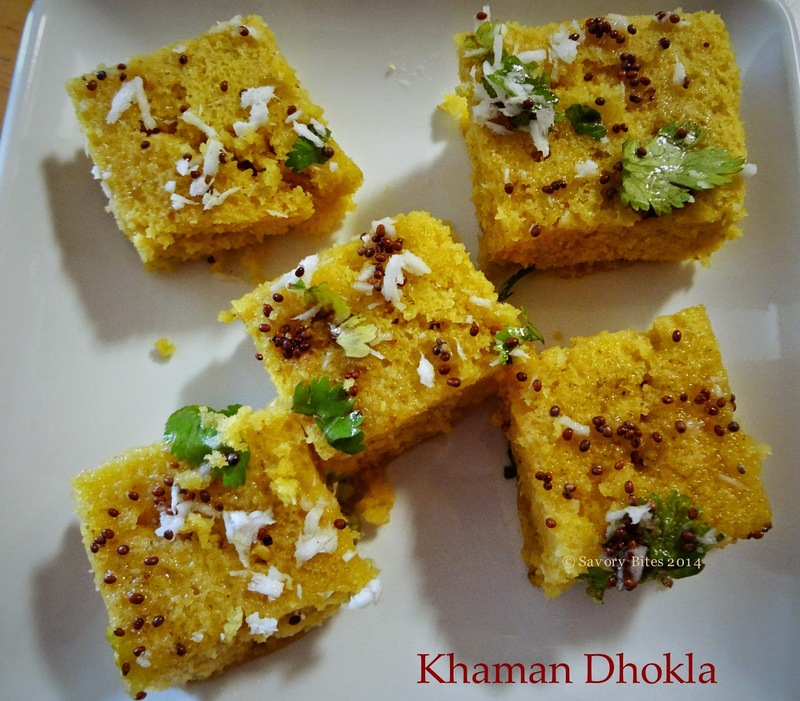 Dhokla is one of my favorite tea time snack.....wanted to make it for a long time. This was one of the snacks introduced to me by my sister, as she loves trying new recipes. 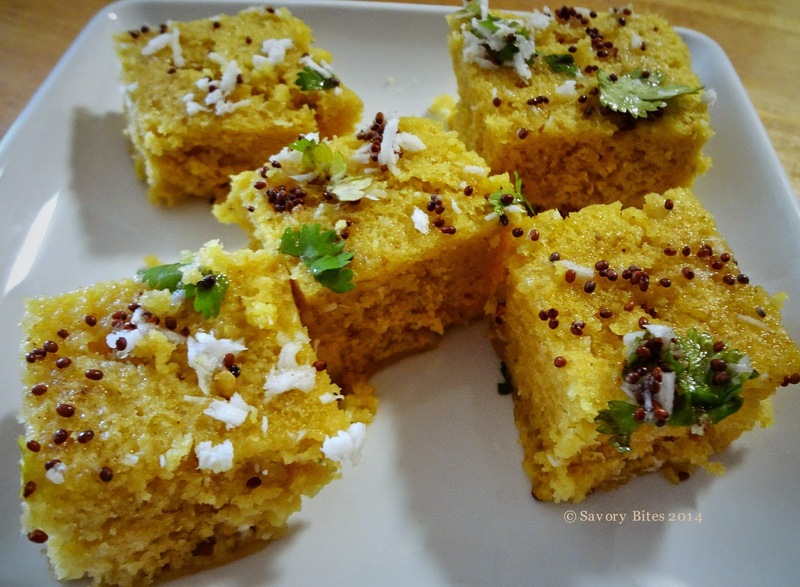 As a kid, i was so particular about my food that i would never go for something new, thinking that it will spoil my state buds, but when i tasted this i really liked it!! Finally I made this on my own and turned out soft, spongy and tasted good. In a bowl, mix gram flour,salt,sugar,ginger-green chili paste,turmeric powder,lemon juice,yogurt,semolina and water. Whisk together all the ingredients properly to make a batter nice and smooth. 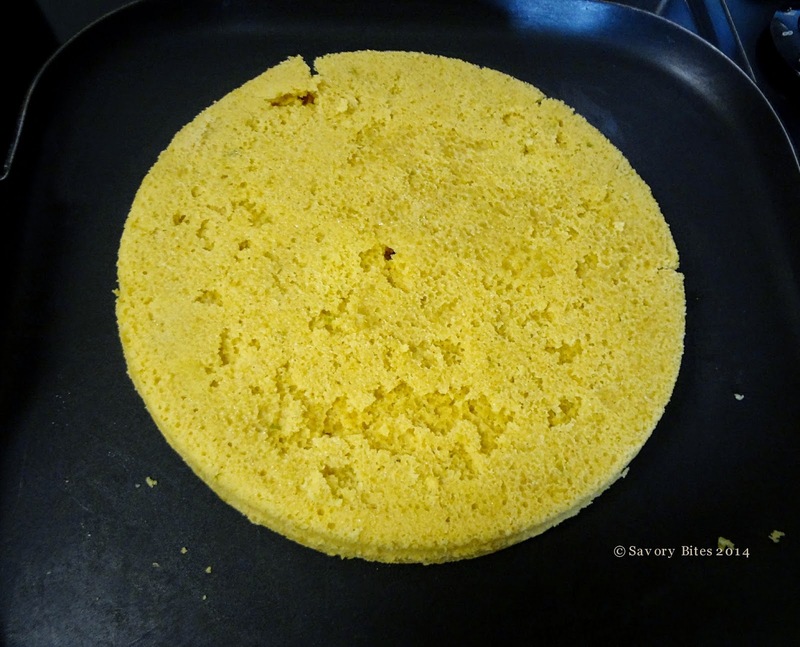 Now grease the pan with little oil and just before adding the batter to it for steaming,add fruit salt. Mix well. 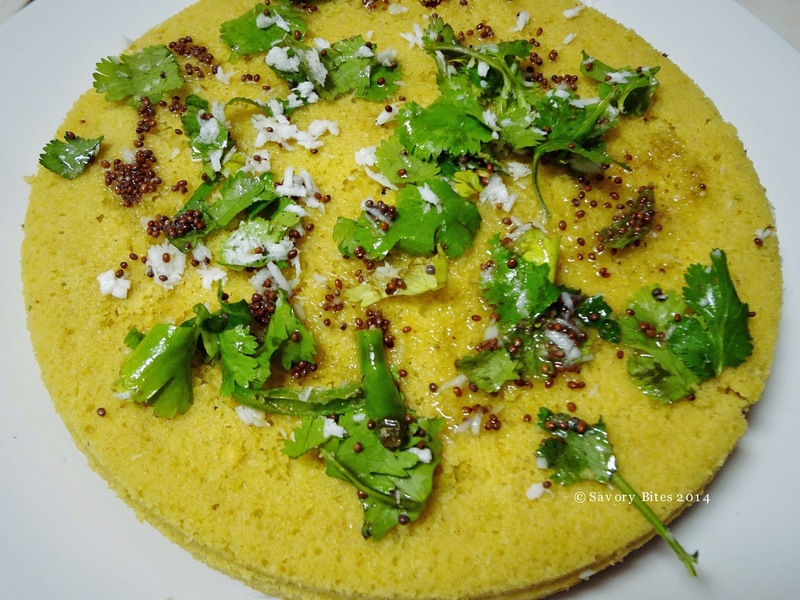 Now steam it in a pressure cooker for 15 mins or till dhokla is cooked properly, without the weight. 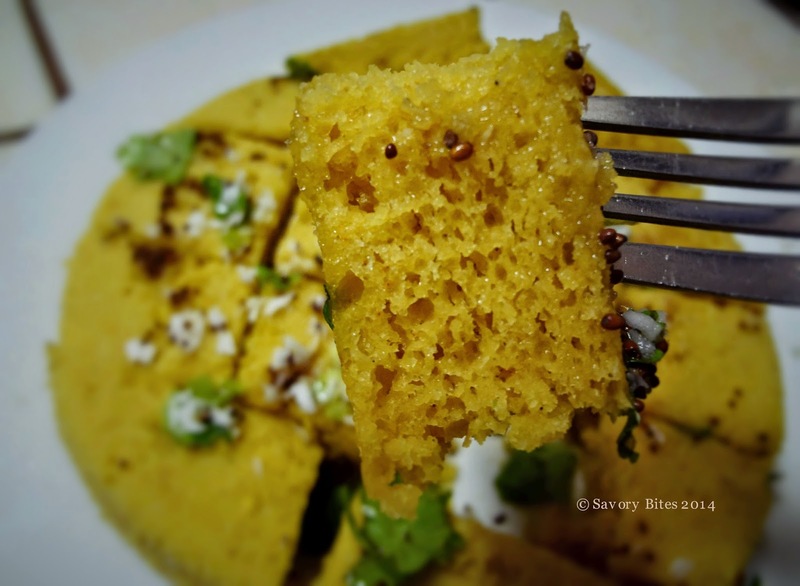 Let it cool and take out the cooked dhokla and keep it on a plate. In a pan add oil and all the ingredients mentioned under "For Tampering". Once the mustard seeds starts to crackle,saute it for few seconds and take it off the heat. Add 1 tbsp of water to it and mix well. Sprinkle this on the dhokla evenly. Garnish it with cilantro and grated coconut and cut it in desired shape. Enjoy this with a hot cup of tea or simply eat it! !